Lobb Fields is perfectly placed to explore North Devon – and there’s always so much to do. We’ve put together some suggestions for your time with us for you adrenaline junkies to pleasure walkers! Being near the coast means that Lobb Fields is the perfect base to explore and try out watersports. 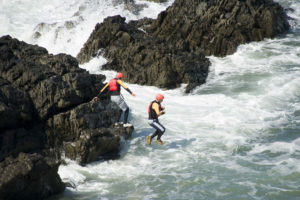 For the ultimate adventure thrill, try coasteering! Swimming, climbing, leaping from rocks: it has it all. Make sure you do this with an organised company, such as Active Escape who are based in Ilfracombe. Try jet-skiing and kayaking another day with Jet Ski Watermouth, based just half an hour away. Go out with an instructor and conquer those waves, or explore the coastline in a single or double kayak! Don’t forget we also have onsite surf hire through our lovely partners at Native if you’re looking for something closer to camp. No matter how busy your day is, you’ll always have a comfortable place to return to at Lobb Fields. There are lots of villages and beaches to explore during your time at Lobb Fields. All of these walks can easily be done in a day, where you can return to camp, have a hot shower and bed down for the night. For a gentle walk that can be done after you check in at the campsite, try this circular walk along the sands and Braunton Burrows. This walk starts at the Braunton Burrows car park, but it can easily be started on Saunton Sands. 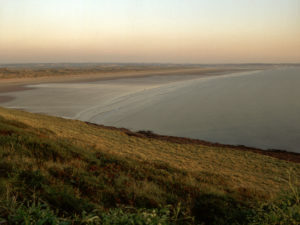 From the viewpoint at Saunton Down you can see both Croyde Bay and Saunton Sands, and beautiful scenes across Exmoor and Lundy. 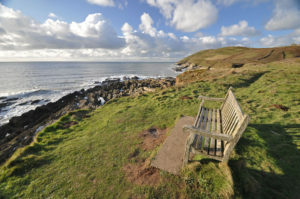 The walk starts and ends in Croyde, which is only a short drive from Lobb Fields. 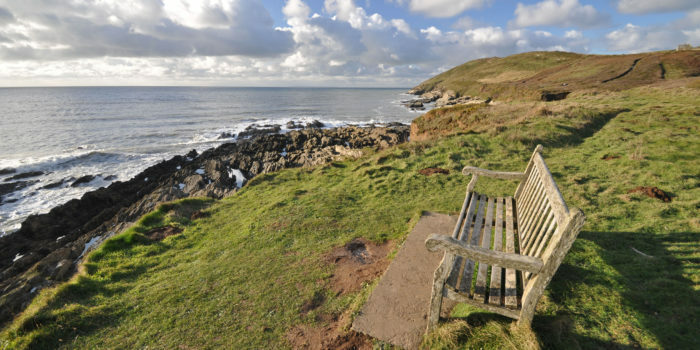 Make a day of this walk by stopping to explore Baggy Point, and heading onto Ilfracombe. Park in the car park by Croyde Village Hall, then make your way to Moor Lane. Pass through Ocean Pitch Campsite and you’ll join the South West Coast Path. Take the bus back from Ilfracombe to Croyde. Walking not your thing? North Devon is also home to the Tarka Trail, where you can hire bikes and cycle through traffic-free countryside. See our guide to the best cycle routes here. For some peaceful holiday plans, check out Holiday Itineraries Part 2.